Note: 1871 was 72 years after the end of the French Revolution. In a very strange turn of events after the end of the Second French Empire, where a flag apparently influenced the course of history, Henri, comte de Chambord, was offered the throne as King of France, but he agreed only if France gave up the tricolour and brought back the white flag with fleurs-de-lis. His condition was rejected and France became a republic.
. . . 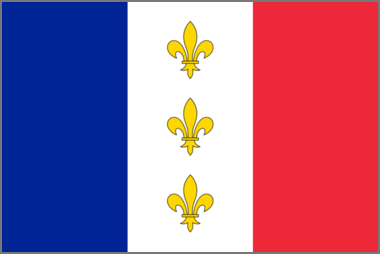 He rejected a compromise, whereby the fleur-de-lys would be the new king's personal standard, and the tricolour would remain the national flag.
. . . A temporary Third Republic was established, to wait for Henri's death and his replacement by the more liberal Comte de Paris. But by the time this occurred in 1883, public opinion had swung behind the Republic as the form of government which, in the words of the former President Adolphe Thiers, "divides us least".